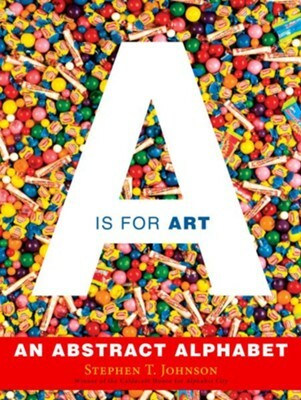 A is for Art: An Abstract Alphabet is a remarkable journey of discovery about art and language through painting, collage, and sculpture by Caldecott Honor artist Stephen T. Johnson. With literal renderings of each letter, complete with witty titles and playful, alliterative captions, Johnson's abstract art forges connections between words, objects, and ideas. Stephen T. Johnson is the creator of such well-known childrens books as My Little Red Toolbox, a Publishers Weekly bestseller; My Little Blue Robot, a Newsweek Holiday pick; A is for Art: An Abstract Alphabet, an ALA Notable and a New York Times Best Illustrated Book of the Year; and Alphabet City, recipient of a Caldecott Honor, a New York Times Best Illustrated Book of the Year, and a Society of Illustrators Gold Medal. His artwork can be found in permanent and public collections including the National Portrait Gallery at the Smithsonian Institution in Washington, DC, the DeKalb Avenue Subway Station in Brooklyn, New York, the Universal Metro Station in Los Angeles, California, and Love Field Airport in Dallas, Texas. Stephen is a professor at the University of Kansas and he lives in Lawrence, Kansas. Please visit him at StephenTJohnson.com. I'm the author/artist and I want to review A Is for Art.